Libation Station is now open in our new, stand alone facility, beside Plaza Package! The Ligero Cigar Lounge is a one-of-a-kind smoking lounge for members only featuring five 47" HD flat screen TVs, an 11 ft. HD flat screen projection TV, pool table, fireplace and a 400 sq. 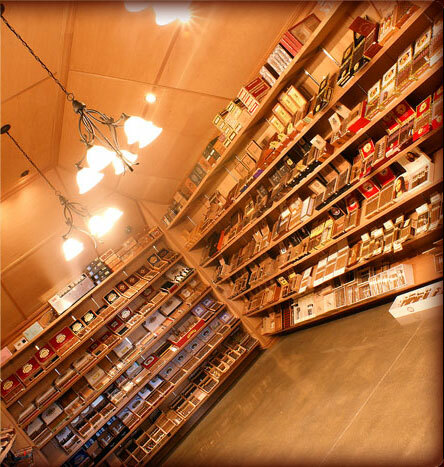 ft. walk-in humidor, wrapped and sealed in 100% Spanish cedar, the best humidor in the Southeast. Membership privileges include all Direct TV Sports Packages, password-protected WiFi, personal humidified lockers and BYOB alcohol regulations. Ask us how you can become a member of this exclusive lounge. Memberships will be available on a first-come, first-serve basis starting Wednesday September 7th.